Aussie actor Simon Baker-Denny has landed a starring role in a pilot for an American series, plus a small role in an upcoming Hollywood film. 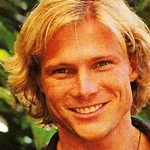 Baker-Denny, whose Australian TV credits include E Street, GP, Naked and Sweat, has scored the lead role in The Last Best Place, co-starring with Academy Award winner Cliff Robertson. His next role is in the film LA Confidential, co-starring with Russell Crowe and Guy Pearce. 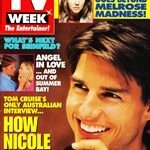 “It’s bizarre that it’s a Fifties LA story and there are three Aussies in the film doing American accents, but I’m looking forward to it,” he told TV Week. After an absence of several years from television, former The Sullivans star Paul Cronin (pictured) is back — starring alongside Wendy Hughes in the new Network Ten telemovie State Coroner. “It feels tremendous to be back,” he told TV Week. 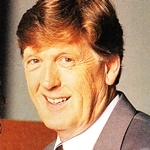 “You don’t realise how much you miss it.” Since The Sullivans wound up in 1983, Cronin starred in the Network Ten telemovie Matthew And Son, and appeared with American actress Linda Lavin in the US mini-series A Place To Call Home. In the meantime, he had also pursued various non-showbusiness interests including investment in the Brisbane Bears AFL team. 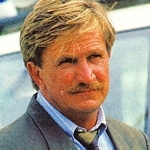 In State Coroner he plays Sgt Ted Ames, police prosecutor in the Coroner’s Court. Although the telemovie has yet to go to air, State Coroner is already expected to spin-off into a regular series. Funding has been approved for a 26-part children’s series titled The Wayne Manifesto. The comedy series, to be produced by Artist Services (Steve Vizard and Andrew Knight) for ABC, is based on the Wayne series of children’s books. Former E Street star Marcus Graham leads the cast of the new Nine Network series Good Guys, Bad Guys. The 13-part police drama starts filming in July. The first episode of Bryan Brown‘s new series, Twisted Tales, is now completed for the Nine Network. Eleven more episodes are to follow. The series of “television dramas with a twist” features a star-studded cast including Claudia Karvan, Richard Roxburgh, Dee Smart, Kate Fischer, Kimberley Davies and Brown’s wife Rachel Ward. Saturday: Beyond 2000 (3.30pm, Ten) reports on how fighter pilots control their planes with a speaking cockpit, and how faster drug testing is possible using samples of hair. In Sweat (6.30pm, Ten), Snowy (Heath Ledger), unsure about his sexuality, goes on a disastrous date with Sandy (Melissa Thomas) — not only jeopardising his friendship with her, but when Danny (Matt Castelli) finds out his best friend is gay, he is unable to accept it. Sunday: AFL Sunday includes Adelaide Crows versus St Kilda (2pm, Seven), live from Adelaide, followed by highlights of Footscray versus Essendon (5pm, Seven) from the MCG. In Banjo Paterson’s Man From Snowy River (6.30pm, Nine), Emily (Sheryl Munks) and Colin (Brett Climo) want to adopt a boy whose parents died in a fire. Australian-born pop star Gina G (pictured) is representing the United Kingdom in the delayed telecast of the Eurovision Song Contest (8.30pm, SBS), taking place in Oslo, Norway. Sunday night movies are The Christmas Box (Nine) and Cliffhanger (Seven) and the debut of mini-series Danielle Steel’s Zoya (Seven). Meanwhile, singer-songwriter Christine Anu is profiled in the one-hour special Saltwater Soul (8.30pm, ABC), featuring 13 of her songs, with five recorded live. Monday: In Neighbours (6.30pm, Ten), Phil’s (Ian Rawlings) novel appears to be crossing over into Hannah’s (Rebecca Ritters) life. In Water Rats (7.30pm, Nine), the body of a teenage boy is found in the boot of a car. There are similarities between this murder and that of another boy 13 years earlier. Comedy series The Glynn Nicholas Show (9.30pm, ABC) makes its debut, starring Glynn Nicholas with Alison Whyte, Merridy Eastman and Wayne Hope. The first game of the rugby league State Of Origin series between NSW and Queensland is on delayed telecast (9.30pm, Nine). Tuesday: In Home And Away (7pm, Seven), Irene (Lynne McGranger) leaves for America, hoping to return pregnant. In GP (8.30pm, ABC), Becky (Dee Smart) a patient suffering trauma over the death of her baby son is referred to a hypnotherapist, but while under hypnosis Becky all but confesses to drowning the child. In Blue Heelers (8.30pm, Seven), PJ (Martin Sacks) makes a difficult choice when he finds proof that Jack (Frankie Holden, pictured) has falsified evidence. Wednesday: First Person (8.30pm, SBS) is a new six-part documentary series focusing on the lives of six ordinary Australians told from their own perspective. Thursday: In Wild Life With Olivia Newton-John (7.30pm, Nine), Olivia Newton-John talks to Mikhail Gorbachev, the founder of Green Cross, about his hopes for the 21st Century and how the environment can be protected and restored; and reporter Alison Peters goes whale-watching in Argentina. In Mercury (8.30pm, ABC), there are rumours that the owner of the Mercury newspaper is to be taken over by a Western Australian businessman. Friday: In Neighbours (6.30pm, Ten), Mal (Benjie McNair) seriously rethinks his academic future. Friday Night Football (9.30pm, Seven) features delayed coverage of North Melbourne versus Footscray at the MCG. 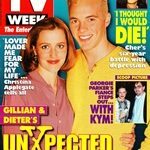 Source: TV Week (Melbourne edition), incorporating TV Times and TV Guide. 18 May 1996. Pacific Publications Pty Ltd.